1994, is born the group Volcanic Cooking. A set of restaurants that have consolidated a passionate cuisine based on the gastronomic uses more ingrained in the region. 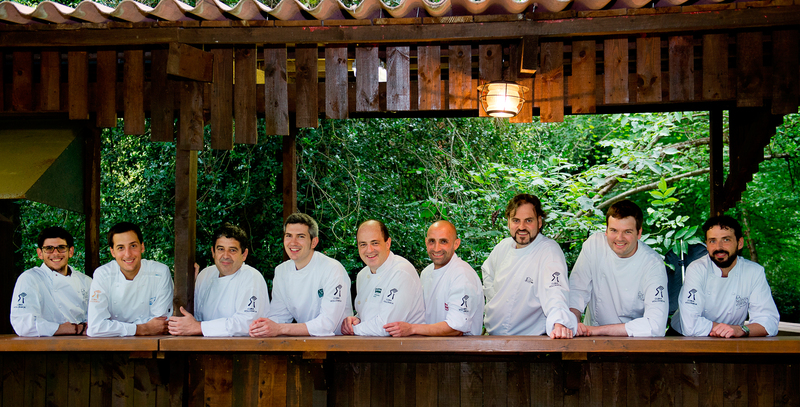 They believe in the need to represent, defend and promote the territory and all its agro-food area, which will use the products grown, crafted and elaborated in their kitchen in the own region of la Garrotxa and its surroundings that have projected a kitchen available to all palates. A regional cuisine based on a traditional, creative and bold recipe, which increases the restlessness and culinary curiosities of the area. Given the richness and variety of our products, the Volcanic Cooking group defends its full integrity in our kitchen and disseminates its own culinary curiosities. La Garrotxa, wild land and bad footprint. This is how our ancestors defined our land of volcanoes, and today we proudly defend the products that are cultivated here. The volcanic features of la Garrotxa land make the soil fertile and rich, which has an impact on the cuisine of the region, where culture and nature are on the plate. Our products are very singular easily distinguishable and grown in sufficient quantity to meet the needs of the market. La Garrotxa offers many more beauties for people who are interested in getting to know it, gastronomy is one of its main attractions. Beans of Santa Pau, fajol, farro: cornmeal, black radish, potatoes from la Vall d’en Bas, tomato of Montserrat, lamb of flock, veal well-established, piumoc: dry sausage of pork chops, sheep cheese, recuit.